Since 1990, Fort Knox Self Storage has been raising the bar for the storage industry in West Michigan and nation wide. 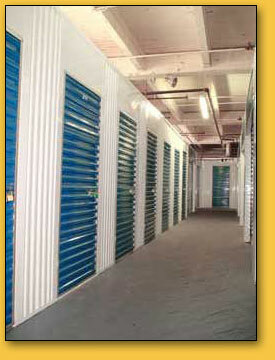 Our storage units are tailored to meet your specific needs, and to stay within your budget. Take a moment to learn more about what we offer, then give us a call and let us know how we can help you. Indoor and climate controlled - Your belongings won't freeze and neither will you! "I've never rented a unit anywhere. I'd heard horror stories of other places, but you were all wonderful! I would absolutely rent from Fort Knox again." "Staff is very friendly, courteous and understanding. The best storage facility in the world! Blessings to all of you." "Thanks for the good service and the safety of my property." "Excellent facility. I will recommend Fort Knox to everyone!" "I'll always return because I feel there's no other safe haven like Fort Knox." "Nice Friendly experience. It makes you feel safe leaving your home in good hands."